Klipper is an experimental firmware - it is designed to run on both a micro-controller and a low cost host computer such as a Raspberry Pi. * Endstop accuracy improvement with stepper motor phase. This feature utilizes the phase of the stepper motor driver (eg, a stepper driver with 16 microsteps has 64 distinct phases) along with the endstop trigger to improve the homing accuracy of the printer. This can be useful on the Z axis to obtain more reproducible Z homing. On my printer, each step on the Z axis is nominally 5um, but I've found the Z axis endstop can vary by up to 20um in either direction. Although these variations are small, they are significant relative to a typical first layer height (eg, 300um). By combining the stepper phase with the endstop I can increase the precision of my endstop to the same precision of the stepper (nominally 5um). * Extruder "pressure advance" support. This feature enables the extruder to output more filament during acceleration and to retract the corresponding amount during deceleration. 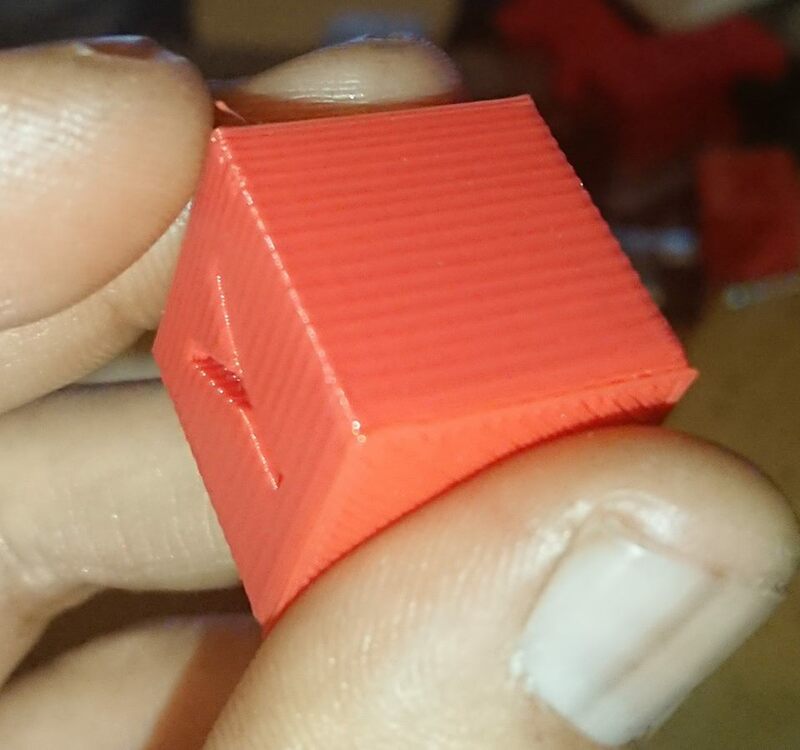 It can be used to offset observed pressure related extruder effects and it can noticeably reduce ooze during prints. Both of these features were implemented in the Klipper host code and therefore work on all the micro-controllers Klipper currently supports (most Atmega chips, and the ARM based Arduino Due). The code is in an experimental state, but it would be great to get additional testers. The code currently works best when the host runs on a Raspberry Pi (the same host can be used for both Klipper and Octoprint). Would like to be one of your testers. Running over the config files now: Seeking confirmation: Is it correct that Klipper supports only one hard end-stop per axis (@ XYZ min), and for (XYZ max) it uses a soft end stop? For homing, one may specify either a max endstop or a min endstop on each axis, but not both. It's possible to add runtime checks for two endstops, but there hasn't been a reason so far. Independent of the endstops, the software is coded to prevent movement past the minimum or maximum configured axis positions, and unlike in some firmwares these min/max positions are enforced even if the user sets new virtual axis positions using G92 / M206 commands. I really like your concept of printer firmware and congratulations on your work. Do you have plans of porting to Beaglebone Black? I have a BBB with Replicape that uses Redeem firmware and I would like to use your firmware. The Replicape and Beaglebone Black I think is a good combination and your firmware I think will improve it even more. Do you have plans of implementing a autocal least squares probing routine for Delta printers? Edited 3 time(s). Last edit at 03/14/2018 08:57PM by deaconfrost.